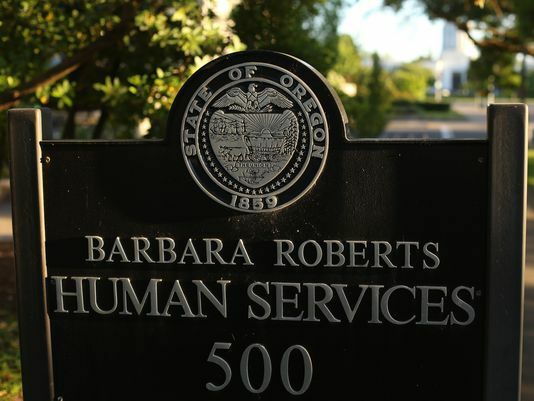 A new audit reveals the Oregon Department of Human Services repeatedly failed to protect vulnerable foster children, putting them at risk for abuse and neglect. Then, they spent $39 million in taxpayer dollars on legal defense of their negligence. Leaders of Oregon’s child welfare system have continually failed to fix systemic problems after paying $39 million in legal settlements, according to a new audit by the Oregon Secretary of State’s Office. At the same time, child welfare employees have worked in a culture of bullying and intimidation, facing verbal abuse from Department of Human Services leaders, state auditors said in the report released Wednesday. Some DHS staff members also were told not to talk with Secretary of State officials for the audit, according to the audit report. “This sounds like a really poisonous atmosphere to work in,” said Jim Moore, director of the Tom McCall Center for Policy Innovation at Pacific University in Forest Grove. “It sounds like an agency that is hunkering down and stonewalling,” Moore said. Moreover, it’s requiring employees to do the same, he said. Agency leaders haven’t reversed high staff turnover and caseload rates that put children in danger. Agency managers have not addressed recruitment and retention of high-quality foster parents. “To begin reversing the growing foster care crisis, we concluded DHS must first address its management and organizational cultural deficiencies,” the auditors said. DHS agreed with the two dozen recommendations made in the report. “When I started in my role as DHS director in September, the governor made it clear to me that she expects every child in foster care to be safe,” DHS Director Fariborz Pakseresht said in a statement. In a statement, Gov. Brown said the monthly reports from Pakseresht will be made public once she gets them. Agency leaders’ responses to more than a decade of scrutiny and crisis has been slow, indecisive and inadequate, auditors said. Efforts to reform the system have fallen flat because of poor planning, poor execution and eventual abandonment. DHS oversees about 7,600 children in foster care day-to-day. “As a foster parent myself who adopted one of my daughters out of the system, I find the audit report results especially infuriating,” Secretary of State Dennis Richardson said in a press release. “I believe how we treat our children reflects our heart and priorities as a state — and this report reveals that genuine introspection as a state is long overdue,” Richardson said. The agency agreed to work with the Legislature to add more staff members to address high caseloads, Pakseresht said in the letter. Moore said the audit will likely shift top state lawmakers’ focus back to the state child welfare system, even during the short February session. Lawmakers will want to address the problems and hear from agency leaders, he said. “Some told us that they had been instructed not to talk to the state audit team,” auditors said. One manager told auditors they were warned they would lose their job if they testified before state lawmakers about a program that was failing. Another worker was directed by management to tell a lawmaker that information they asked for was not available “when it was,” auditors said. “A third manager told us that they and their team were treated ‘as saboteurs’ for sharing information about a child safety review with management and that the report was essentially dismissed and ignored,” auditors said. In Salem, child protective services workers are assigned 21 investigations monthly, more than triple the number of investigations they should be working on, based on an agency workload model, auditors said. They should have about seven investigations each. In Prineville, permanency workers reported having to work up to 45 cases when staff levels were low. That’s almost quadruple a recommended 11.5-cases-per-person workload, auditors said. Roseburg permanency workers said they had about 20 cases each. Permanency workers develop a plan for foster children to move to a permanent living situation, whether that’s adoption, living with a guardianship or reunifying with their birth family, according to DHS spokespeople. “Caseworkers and other field staff told us repeatedly that the demands placed upon them were unrealistic,” auditors said. To conduct the review, auditors interviewed about 240 people, from agency leaders to staff members in the field. Auditors also sent out a 60-item questionnaire to district managers throughout Oregon. The audit immediately entered the realm of politics Wednesday, with state officials using it to say their opponents weren’t doing their jobs. Rep. Knute Buehler, a Bend Republican hoping to unseat Brown in the November election, laid the blame at the feet of the governor. “Oregon’s foster care crisis is a failure of this government and this governor to protect and care for some of the most vulnerable children among us. It is a shameful violation of the public trust,” Buehler said in a statement. Meanwhile, Chris Pair, spokesman for the governor, sent the Statesman Journal an email accusing Richardson, a Republican, of playing politics to advance his and his allies’ agenda.